Available in lengths between 15cm to 10m, this optical cable can be used with mini music players or full home hi-fi system thanks to its durable and flexible design. Chord C-lite Optical Cable - Toslink to Minijack is a digital optical audio cable that is flexible and versatile so that it can be used with many devices, from soundbars, to full sized hi-fi systems. This optical audio cable has been specially designed for optical mini jack connections that allow you to easily connect up to a portable music player, while its larger sized options can be used with full-sized home systems. 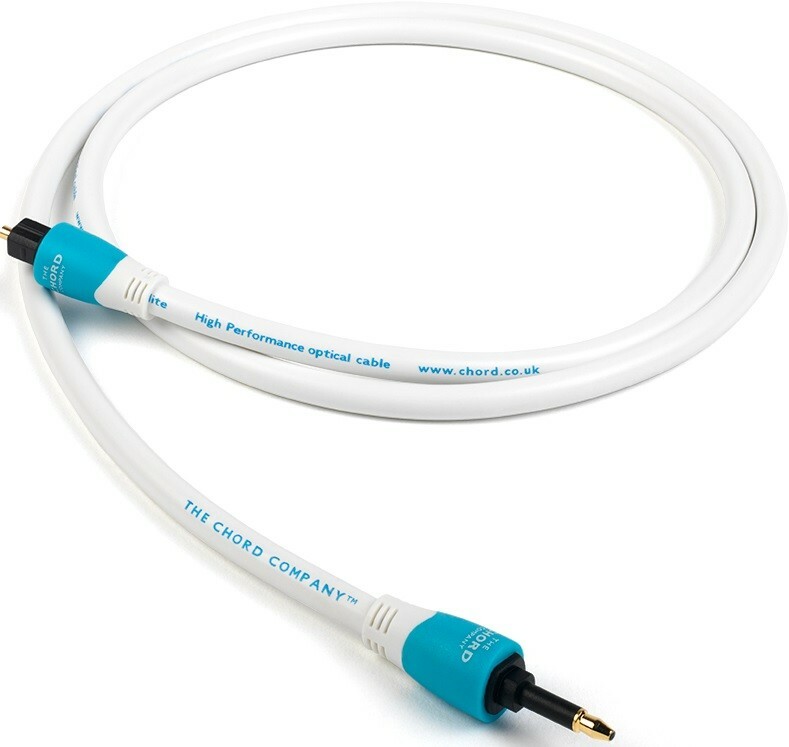 The Chord C-lite utilises a wide bandwidth PMA optical cable with an enhanced bandwidth as a result of the ends of the cable being polished. Furthermore, the risk of damaging the cables by being crushed is minimised due to the hard PVC jacket that protects both the soft PVC internal jacket and the central conductor that it encases. Therefore, the design has the flexibility to ensure that the light carrier is not negatively affected by tight bending.